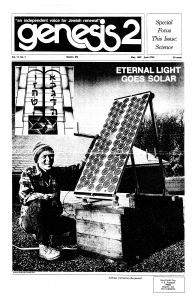 Rabbi Everett Gendler was the first to install a solar-powered eternal light in 1978 on the roof of his Synagogue in Lowell, MA. Since then, other synagogues have followed suit, recognizing the fundamental connections between Jewish values and environmental consciousness. 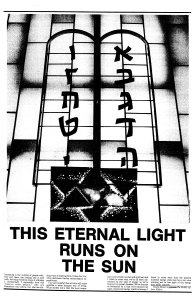 A solar-powered eternal light is a beautiful symbol of the connection between Judaism and environmentalism. The adoption and promotion of a solar powered eternal light is a simple way to foster an environmentally friendly spirit, and it can motivate discussion of environmental and spiritual issues surrounding energy use. 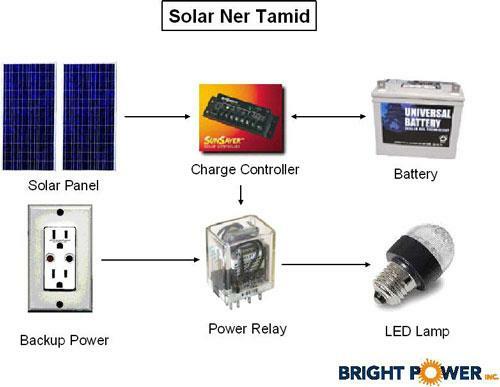 See these resources for more information about solar Ner Tamids.